Tate Donovan Joins Cast of ’24: Live Another Day’!! Keifer Sutherland (‘Touch‘, ‘The Confession‘) is coming back to the small screen. Sutherland reclaims the face of Jack Bauer, 4 years after the ‘24‘ finale, in the newly titled ‘24: Live Another Day‘, set to premiere May 5. Last time we saw Bauer, he was in Europe and a fugitive from justice. Tate Donovan (‘Damages‘, ‘Deception‘) joins ‘24: Live Another Day‘, as White House Chief of Staff, Mark Boudreau, A strong-willed political adviser who is married to President Jame Heller’s (William Devane) daughter, Audrey Raines, played by Kim Raver and Bauer’s former love. 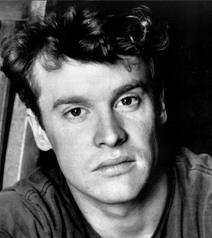 I can’t look at Tate Donovan and see anything other than Kevin from ‘Space Camp‘ (1986) and voicing the lead in Disney’s ‘Hercules‘ from 1997. 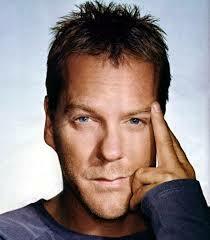 Keifer Sutherland holds a special place with me as the face of so many good characters from movies I grew up with. ‘Stand By Me’, ‘Young Guns 1 and 2’, ‘The Lost Boys‘, ‘Flatliners’, ‘A Few Good Men‘, ‘The Vanishing‘…this list could go on forever. If I had to pick my favorite Kiefer Sutherland role, it would be a tie between David in ‘The Lost Boys’ and Doc Scurlock from the ‘Young Guns’ flicks. He had that edgy, scary role, then he made me fall in love with him. Looks Like We Will Have To Wait Longer For The ’24’ Movie!!! This entry was posted on Thursday, January 23rd, 2014 at 4:39 pm	and is filed under Film, News. You can follow any responses to this entry through the RSS 2.0 feed. You can skip to the end and leave a response. Pinging is currently not allowed. « Quentin Tarantino Shelves His Next Movie ‘The Hateful Eight’! !